A new Ebola virus study resulting from a widespread scientific collaboration has shown promising preliminary results, preventing disease in infected nonhuman primates using monoclonal antibodies. In this week’s online edition of the Proceedings of the National Academy of Sciences (PNAS), the research team describes a proof-of-concept for using a “cocktail” of monoclonal antibodies, or mAbs, to prevent lethal disease in rhesus macaques. When administered one hour after infection, all animals survived. Two-thirds of the animals were protected even when the treatment, known as MB-003, was administered 48 hours after infection. Ebola virus, which causes hemorrhagic fever with human case fatality rates as high as 90 percent, has been responsible for numerous deaths in central Africa over the past several months. In addition to being a global health concern, the virus also is considered a potential biological threat agent. Currently there are no available vaccines or treatments approved for use in humans. The work is the culmination of more than a decade of effort between government and industry partners. According to lead investigator Gene Olinger, Ph.D., a virologist at the U.S. Army Medical Research Institute of Infectious Diseases (USAMRIID), this consortium of investigators has taken very distinct technologies and combined them to develop a cutting-edge medical countermeasure against a lethal viral disease. In addition, the production method used in this study offers the potential to make an economical and effective medical countermeasure, according to the authors. Initially developed as a monoclonal antibody cocktail in the mouse model, MB-003 was successfully humanized and then produced in the tobacco plant-based production system. Further improvement in antibody efficacy was developed at Kentucky BioProcessing (KBP). Using a fully automated production system that operates in accordance with good manufacturing practices (GMP), antibody is produced in a tobacco plant system. This new development process significantly decreases the amount of time required for production, increases the quantity of antibody produced, and slashes the cost of manufacturing, according to Barry Bratcher, chief operating officer of KBP and co-author on the PNAS study. “Our GMP facility can generate a new antibody lot in two weeks to rapidly address new threats and new outbreaks,” said Bratcher. 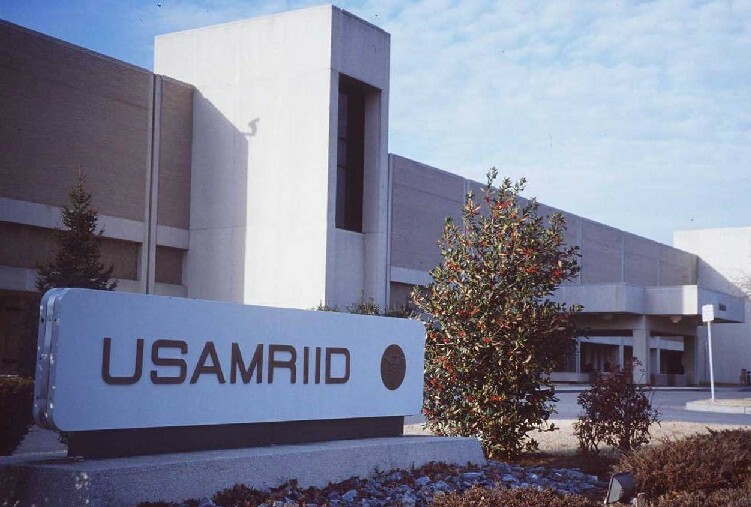 Olinger said efforts are underway to advance MB-003 to clinical safety testing as his team at USAMRIID continues to determine the true therapeutic capability of the cocktail. Multiple agencies contributed funding for this and related studies, including the National Institutes of Health, the Defense Advanced Research Projects Agency, the Transformational Medical Technologies Initiative, and the Defense Threat Reduction Agency.